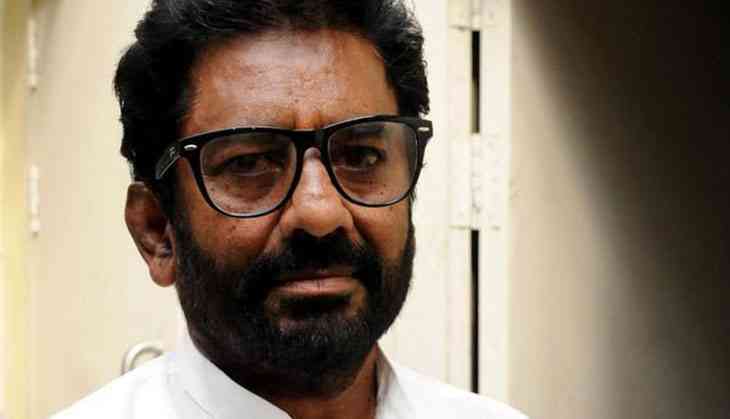 Shiv Sena MP Ravindra Gaikwad has yet again landed in a soup, but this one seems slightly in his favor as he managed to garner the support of the public this time. The MP was spotted arguing with an SBI Bank manager in Maharashtra's Latur on 19 April in the mobile video that's gone viral, the bank manager can be seen trying to explain Gaikwad about his helplessness to deposit cash in ATM machines, but the MP was in no mood to listen. Although speaking in support of demonetisation, Gaikwad hit out at the bank for playing foul and protecting the interests of selected customers. The locals standing outside the ATM had smiles on their faces, as they were happy that the Shiv Sena MP's intervention had got bank officials to ensure that ATM machines, out-of-service for a while, started dispensing cash. Female customers said that they were thankful to Gaikwad for arguing with the bank manager by staging a 'dharna' at the SBI ATM. Surprisingly, today is the polling day for the Latur Municipal Corporation election and this 'Robinhood' appearance of Gaikwad yesterday has certainly become the talking point in Latur town that might benefit the Shiv Sena when the results are declared. Gaikwad was in the headlines recently when he had beaten up an Air India staffer for making him fly in the economy class though he had an open business class ticket. As a result, Air India and several other private airlines blacklisted Gaikwad and refused to fly him. The ban was, however, lifted after Civil Aviation Minister Ashok Gajapathi Raju's intervention after 15 days.